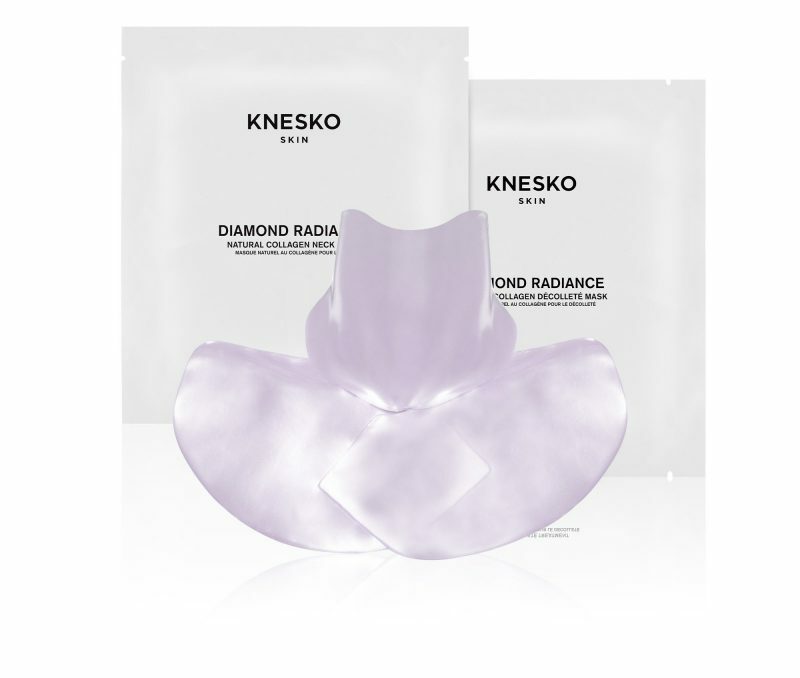 Experience unparalleled skin rejuvenation with KNESKO’s Diamond Radiance Collection. Engineered under a team of doctors, and harnessing GEMCLINICAL™ polypeptide technology, our Diamond brightening masks for face, eye, lip, and décolleté promote brightening and hydration to help energize the skin and combat signs of aging and fatigue. Release your true youthful glow through our holistic skincare solutions and find empowering wellness that comes with soulful balance. Sustainable yet powerful, our collagen-based diamond masks cradle your skin, while diamond microparticles assist in maximum absorption of vital nutrients and cell regeneration. As we age, our skin’s building blocks break down. Our natural Diamond skincare line uses ophthalmologist-approved, trade-secret formulas that can help invigorate those building blocks, and, in turn, re-energize your skin. We’re proud to deliver premium age-defying results that are always cruelty-free, and biodegradable. Choose our elegant, yet simple Diamond Radiance Collection for a truly holistic approach. Our goal is to encourage happiness, wisdom and good health in all aspects of your life through loving, mindful healing. Diamond facial masking is especially ideal for addressing areas of concern including discoloration, dullness, large pores, and fine lines. Wake up your soul along with your skin. Diamonds are “The King of Gems” and stimulate the Crown Chakra to promote a more radiant spirit. Regular, weekly skin brightening treatments ensure that you will be glowing inside and out. 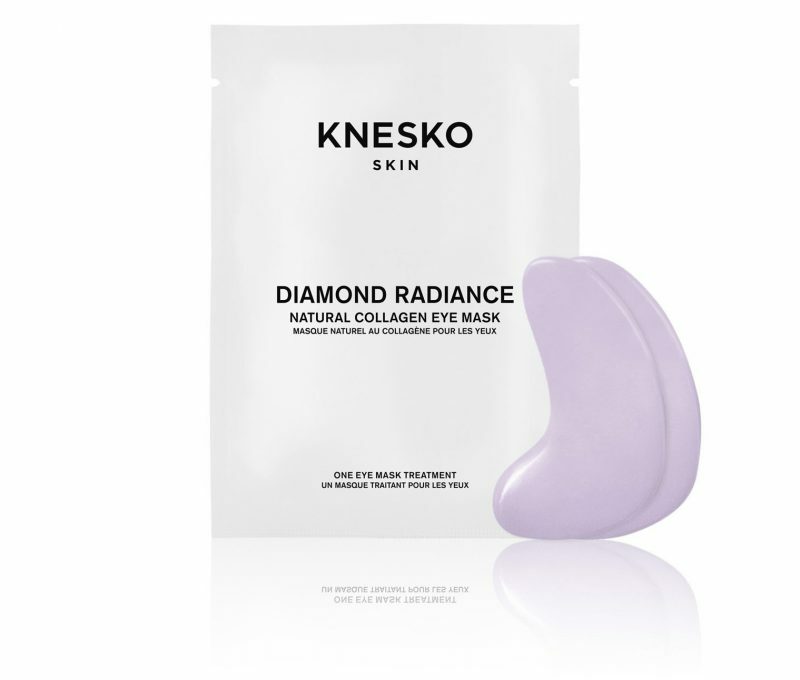 Beat dark circles, fine lines, and dryness with our ophthalmologist-recommended Diamond Radiance eye masks. 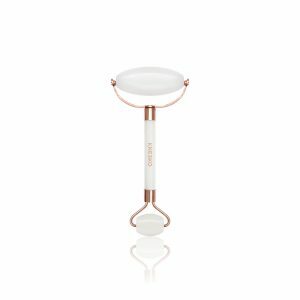 Natural and eco-friendly ingredients such as marine collagen, rose essential oil, and jojoba oil combine with our innovative diamond powder to encourage a smooth, radiant and youthful look around the delicate eye area. 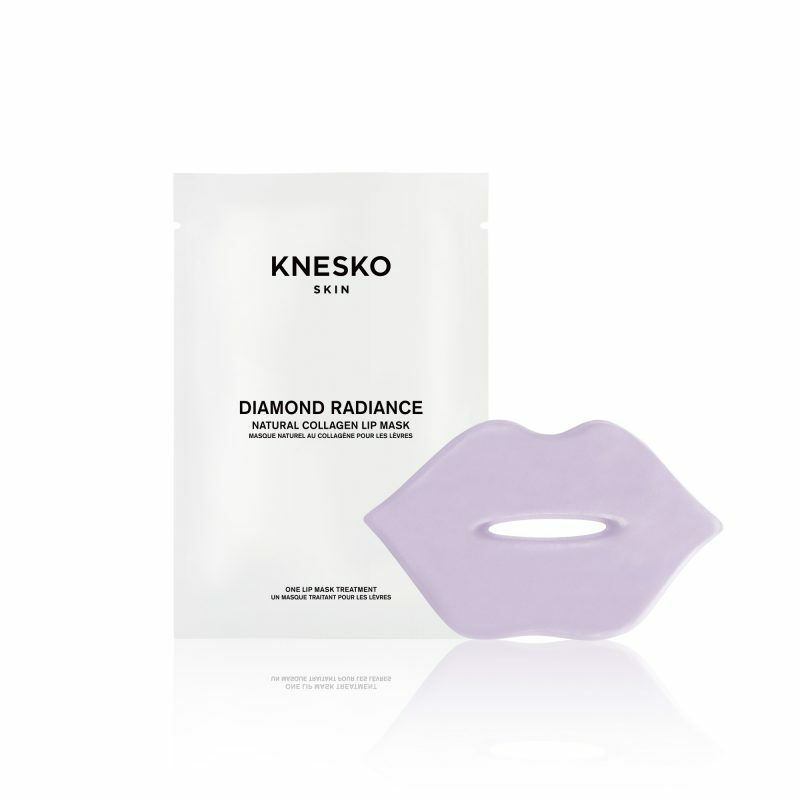 Enjoy holistic and enduring beauty with a nourishing Diamond Radiance lip mask created to aid in plumping and softening your lips for a full, youthful pout. Fight back against thinning, cracked lips and fine lines around the mouth area with leading-edge skincare technology. Your décolleté and neck are among the most beautiful, noticed parts of your body, and yet too often, the area is an overlooked part of a skincare routine. The skin here is extremely vulnerable not only to the elements, but also to the everyday stress of your busy life. 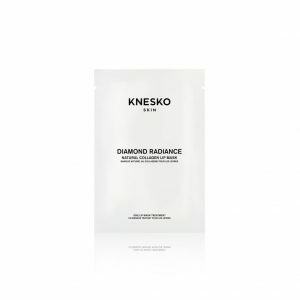 Packed with antioxidants, marine collagen, and essential oils, KNESKO’s diamond neck and décolleté mask treatments offer a luxurious solution to past neglect and future maintenance. Draw on the power of positive intention by indulging in a masking ritual on a regular basis. 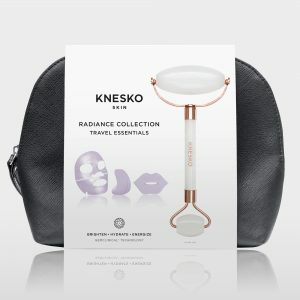 Choose from masks designed specifically for the lips, face, eyes, neck, and décolleté. 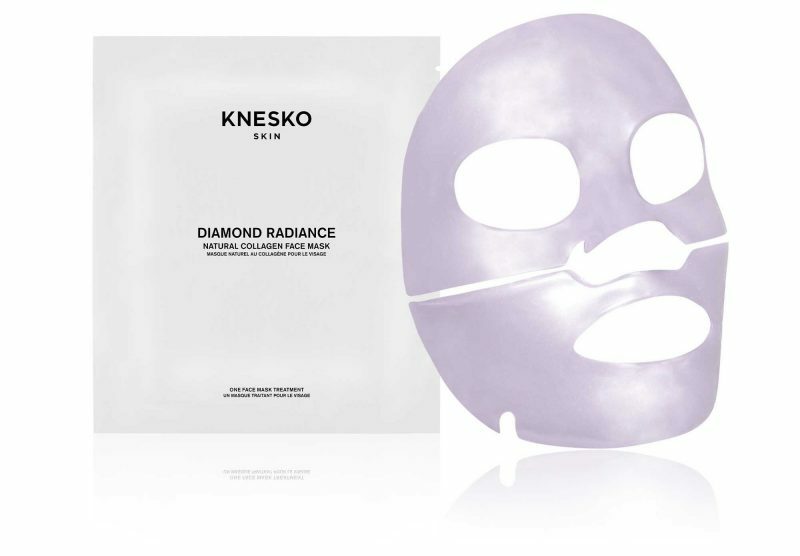 Enjoy diamond face masks in single treatment packages, multi-pack bundles, and complete sets.